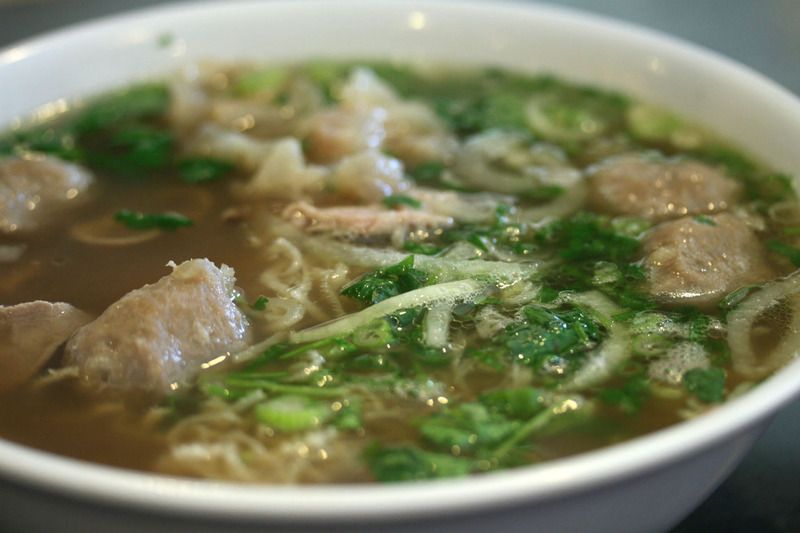 Best Pho in Town. Enough said. The waiting line explains it. 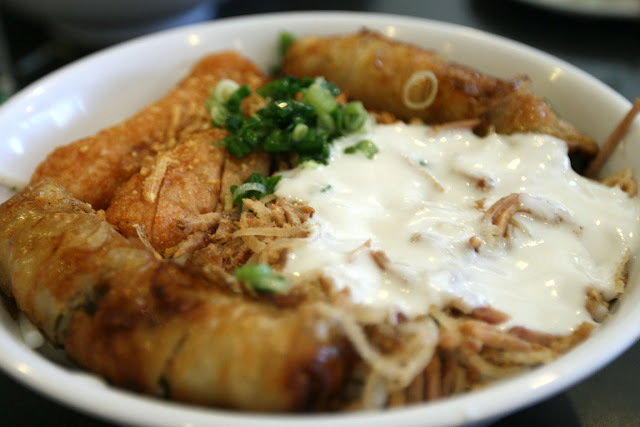 The Coconut Milk Rice Noodle is definitely something new to the typical Vietnamese vermicelli we are used to. 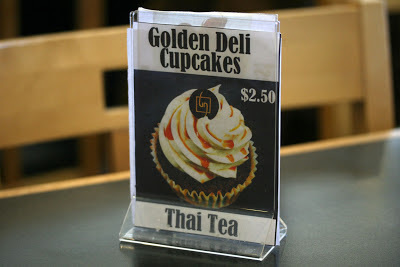 Thai Tea Cupcake was awesome. Need to wait in line to get a seat. How it looks like in real life. Despite of that, it tasted delicious! Heh. Thank you for your explanation! That explains why. Awesome job on the cupcake. Such innovation. So now I know this one with the whipped cream is actually better :p Gotta try it again with buttercream and tea in the summer! haha. That's why Sprinkles have these heavy frosting to make it stay huh. Green Tea Cupcake might be nice, but it's probably already out there. 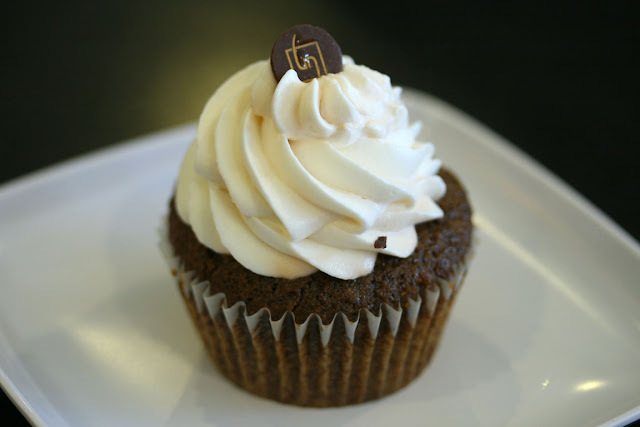 Milk Tea Cupcake? So do you work at Golden Deli or do you own a cupcake business? I would like to know more about your cupcakes! I tried a bakery called Moist and Creamy recently. 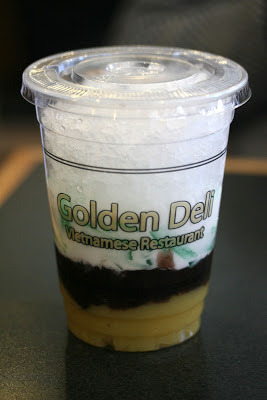 Their Taihitian Vanilla Bean Cake was super great! Do you make birthday cakes too? 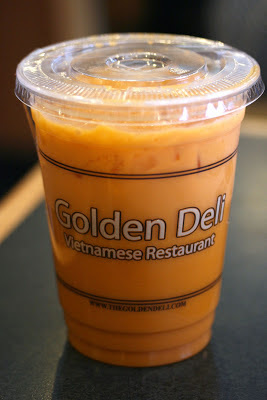 Mango milk tea sounds really good! I think your cupcakes look nice with the tea drizzle. does it not work on whipped cream? Moist and Creamy doesn't have a store, but they sell at Century City Farmers Market every Thursday 11am-2pm.